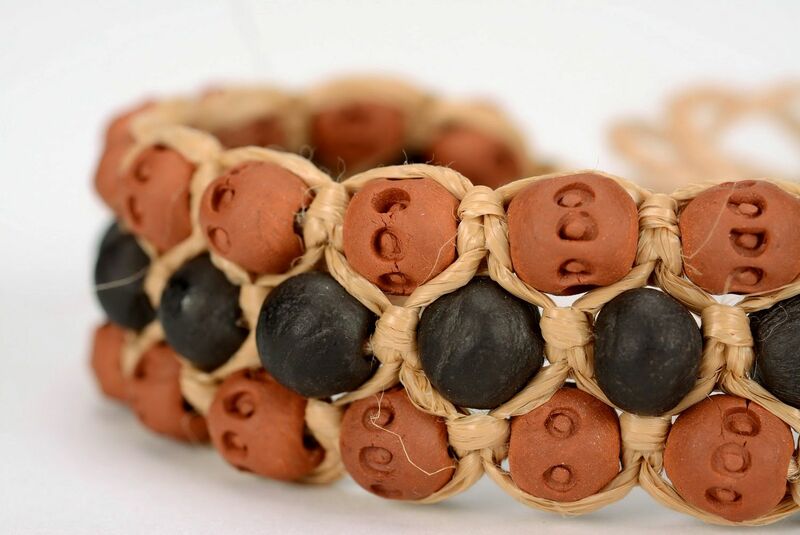 Bracelet is made of clay, synthetic string and jute. 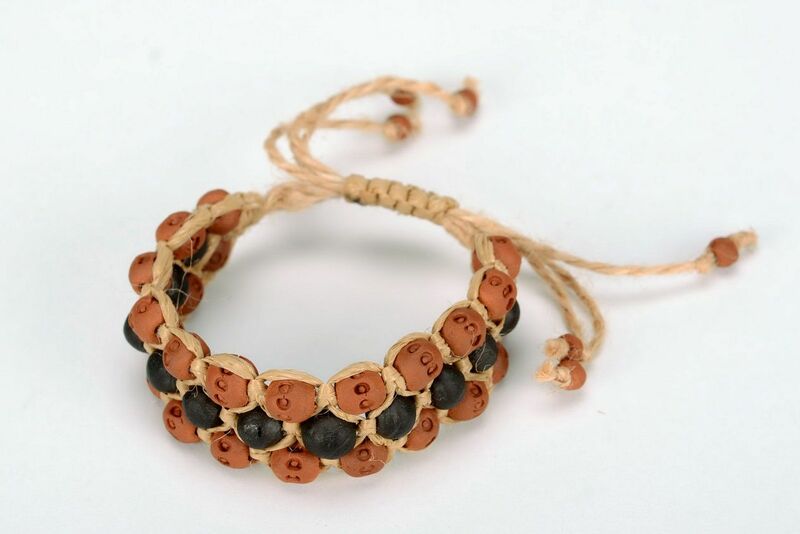 Such clay accessory is worthy only a true fashionable woman, who doesn&apos;t affraid to experiment with styles. Recommendations for care: remove dust with a soft brush or a piece of soft fabric. Keep in dry place away from direct sunlight. Do not drop. 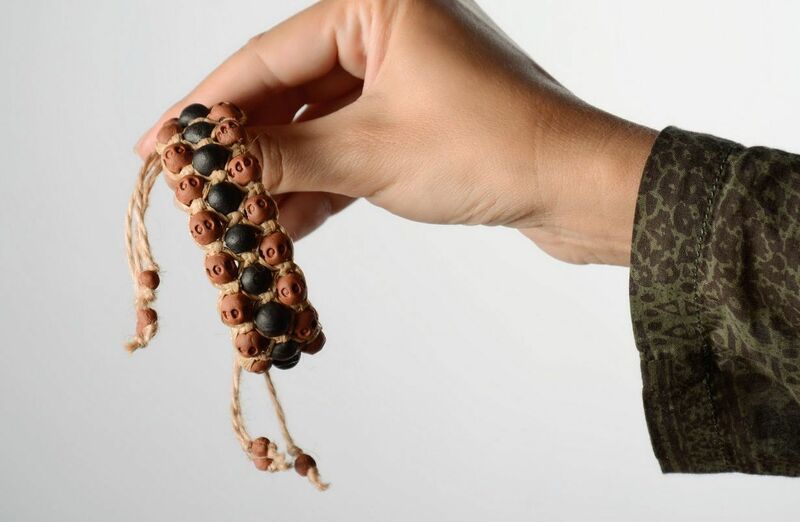 Protect from damages.